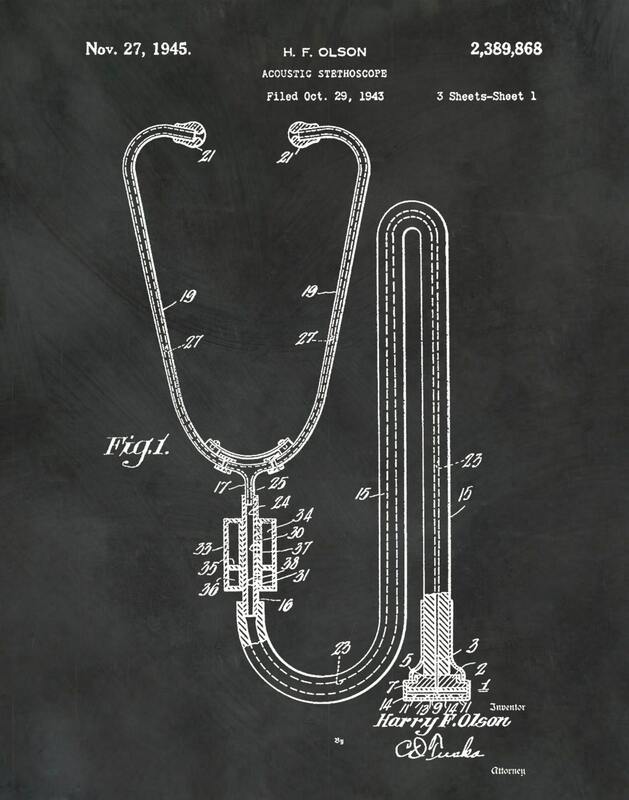 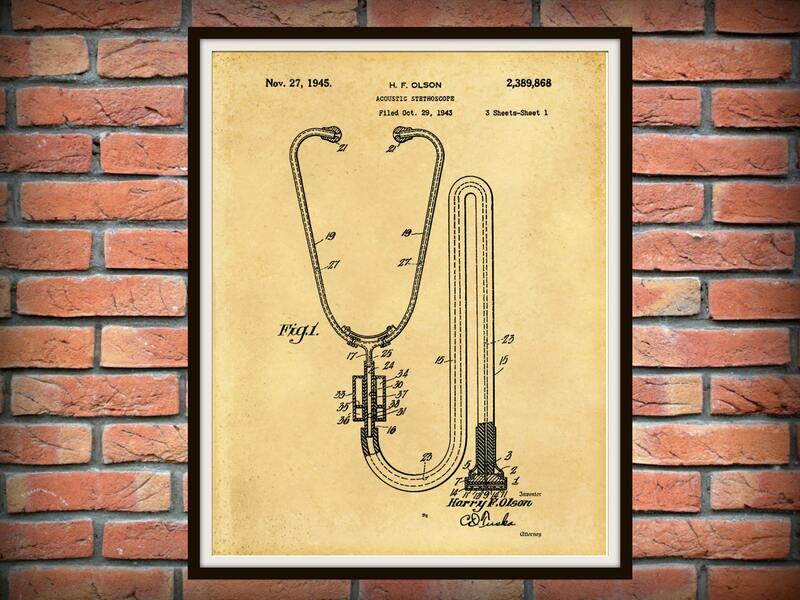 1945 Acoustic Stethoscope Patent invented by Harry Olson. 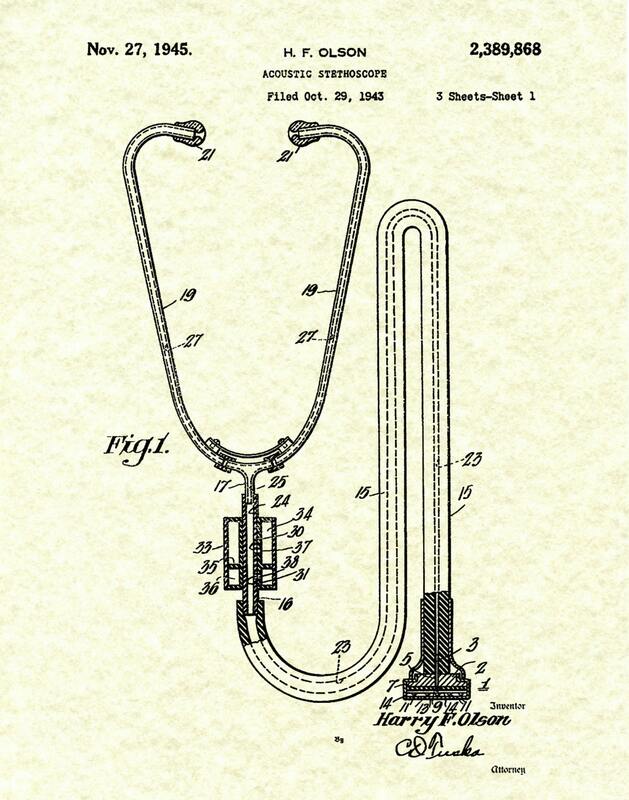 The United States Patent Office issued the patent on Nov. 27, 1945. 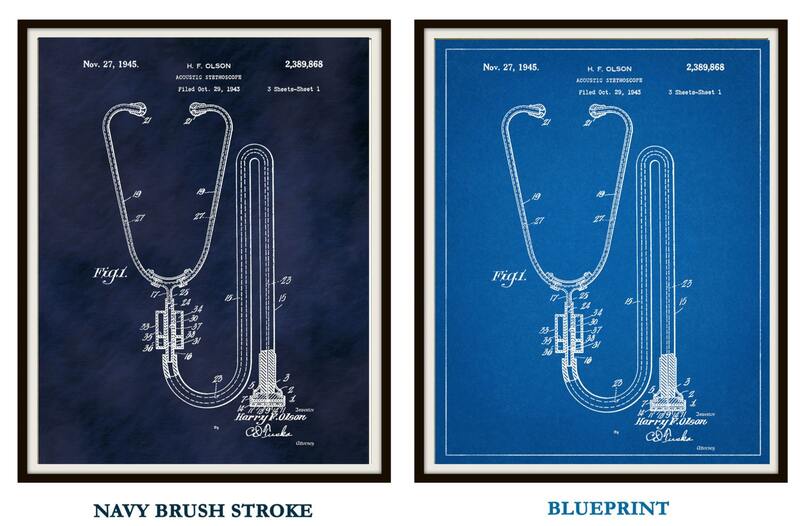 Patent prints are a wonderful way to own a piece of history and display your favorite inventions in your home or on your office walls.